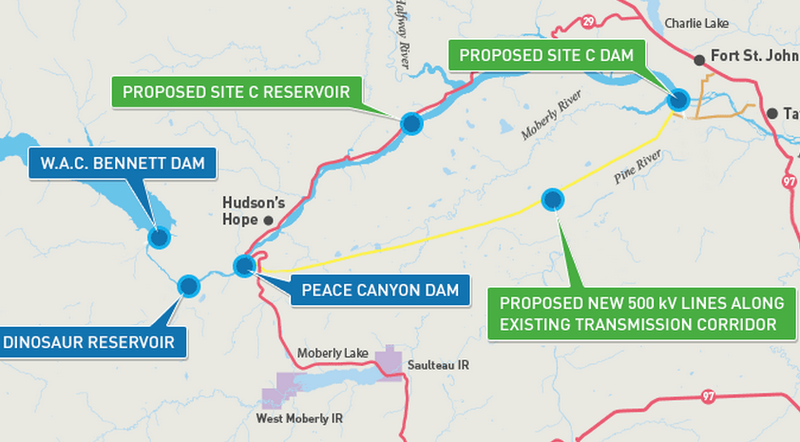 BC Hydro has awarded the second of three major contracts to complete the Site C hydroelectric dam. The $1.6-billion contract will cover the construction of the dam’s generating system and spillways (GSS). It is the second largest contract in BC Hydro’s history, behind only the 2015 $1.75-billion main civil works contract for the dam. It is the first major contract award on the project since B.C.’s NDP government took power. A third major contract for the transmission system that will carry electricity produced by the dam has not yet been awarded. The deal has been signed with the AFDE partnership, a consortium of builders led by Calgary-based Aecon Group Inc., which is currently subject to a takeover by a Chinese firm, pending a federal security review. Other partners include Flatiron Construction, Dragados Canada, and EBC Inc.
Simon Little – Global News – March 16, 2018. RegulatorWatch.com covers the issues, controversies and impacts arising from the regulation of economic, social and environmental activity in Canada and the U.S.